A new weekly class with Kim Shelley! Try your first session completely FREE as a taster! As a Centre, we aim to improve the condition and quality of life of those living in the district through the provision of facilities at the Centre for education, recreation and leisure time activities. 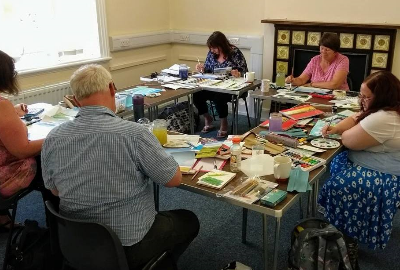 We offer weekly classes in a range of subjects from arts and crafts to languages, all with experienced tutors in a friendly atmosphere. We always welcome new students! 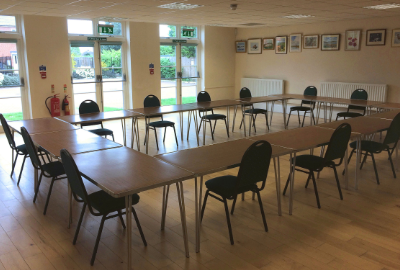 We have a variety of rooms available for hire, so whether you need to hold a group meeting for 70 people or a children’s birthday party, just the once or every week all year, we can help. 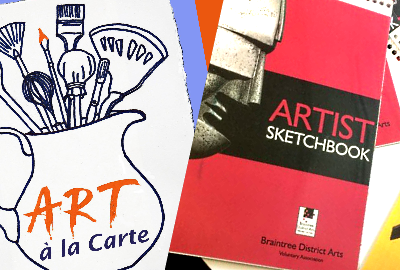 Get your copy of Braintree Community Art Group’s “Art à la Carte” cookbook or a Braintree District Arts Sketchbook here! 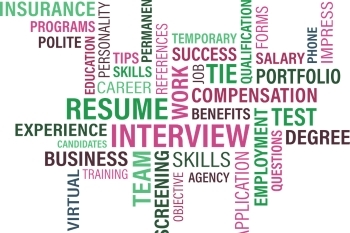 Visit our jobs page to see listings for local positions and details on how to apply. If you’d like to advertise a job with us, please get in touch! Excellent, welcoming and flexible space, a real refuge for those in need of it. A good place to have a meeting. 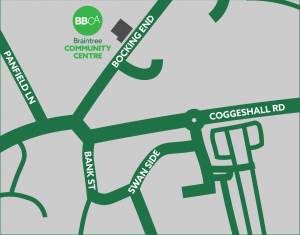 It appears to be on a main road through Braintree, though has plenty of parking once you drive in. A great looking place that offers a fair few things to sign up to for reasonable prices to help you learn all types of things. I really enjoyed the Class on June 9th with Maggie. She’s an excellent tutor with lots of experience. The piece I made is going to look great mounted and it adds to my portfolio of techniques. Roll on the next class on 23rd June! !